This chrome fuel shut off knob gives your shut off valve assembly a custom look. Chrome plated screw included. Fits Honda VT1100, VT750 Shadows and VTX1300. Designed in 1775 during the American Revolution by General Christopher Gadsden, this flag was used by the Continental Marines as a motto flag. The timber rattlesnake shakes its rattle so you can avoid getting bit. In today's society, it is still the same "don't step on or take advantage of Americans or they may strike back". This 6'' x 9'' flag is double sided and is designed with a sleeve to fit 3/8'' flag poles. Comes with oaring to keep flag flying high. Sold as each. 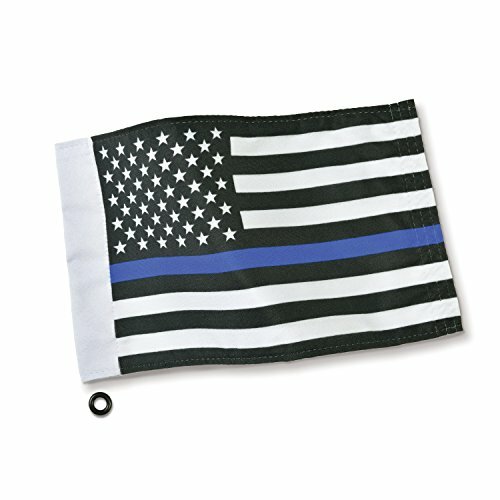 Big Bike Parts helps you show your support for law enforcement with their thin Blue line flag. 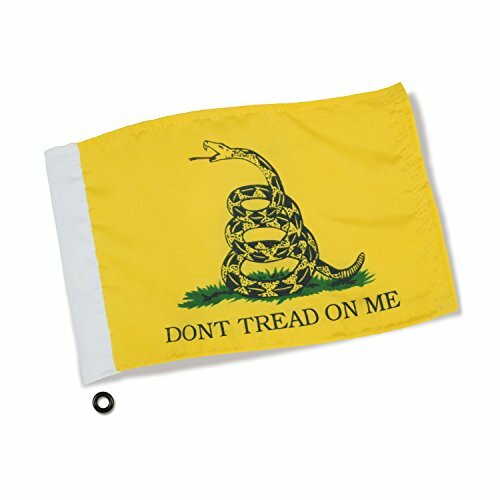 This 6'' x 9'' double sided flag is made from heavy duty polyester and fits 3/8'' flag poles. An O-ring is included to keep the flags flying high. Originating in the United Kingdom, the thin Blue line was to commemorate fallen law enforcement officers and show support for active law enforcement officers as well, symbolizing the relationship in the community. In the United States variation, the upper block and stripes represent community and the bottom represents crime with the Blue line representing law enforcement that stands between victims and violence. 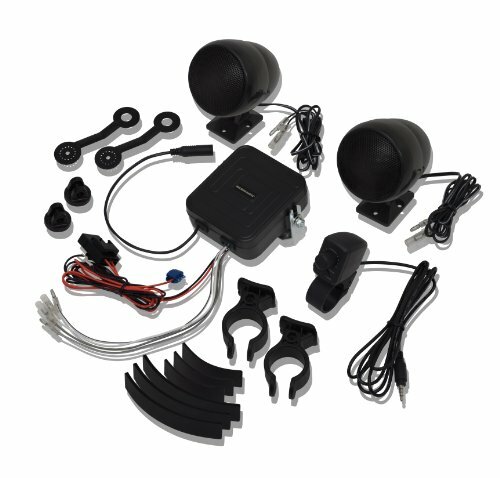 Waterproof motorcycle sound system from Big Bike Parts comes as a complete kit including waterproof amp and volume control. With waterproof 2-1/2" black speakers this unit provides a sound quality unmatched by the more expensive systems. Volume control has a 3.5mm universal aux-in connection that is compatible with iPod, MP3 and other portable players including satellite radio systems. Speakers are able to be mounted to the handlebars with 7/8" and 1" fitments, flat surface mounted or mounted to the mirrors with included brackets. Unit is also available with chrome speakers # 13-250A or with Bluetooth option # 13-252BT. Universal fitment on any motorcycle, ATV, UTV or Jetski. 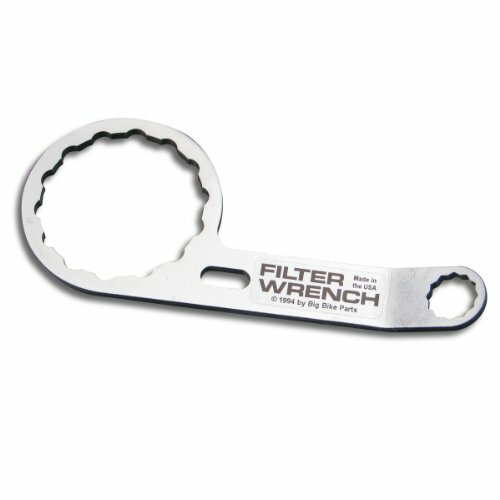 This ultra-thin wrench allows oil filter removal without having to remove fairing pieces just to attach it. No moving parts in this design. Requires no adjustments to fit your oil filter. 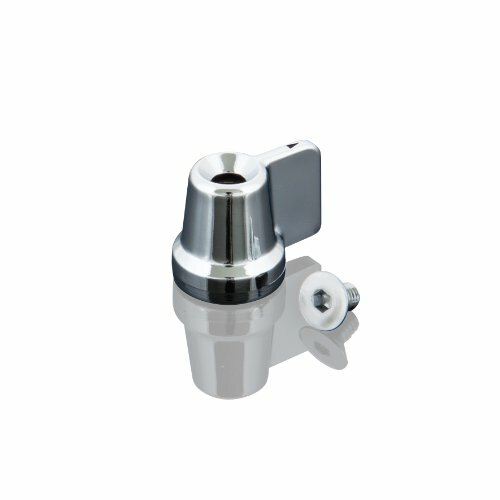 The handle incorporates an oil drain plug wrench to easily remove drain plugs when changing oil and filters. The drain plug end of the filter wrench is also canted 20 degrees to allow easy access to the drain plug. This 12-sided wrench addition provides easy and quick access to those 17 millimeter drain plugs. 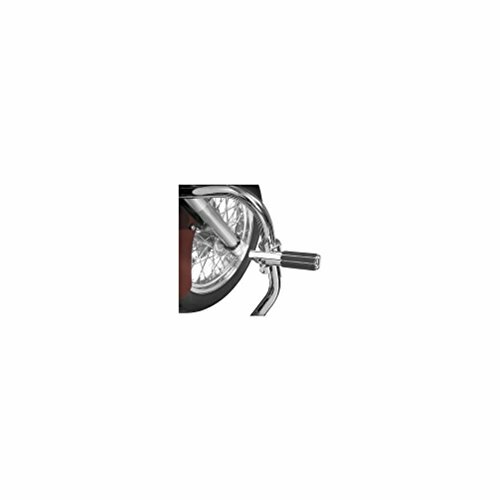 Big Bike Parts zinc plated chromatic finish provides years of proven durability and utility. Combine with Big Bike Parts quality oil filters to enhance your safety and maintenance. 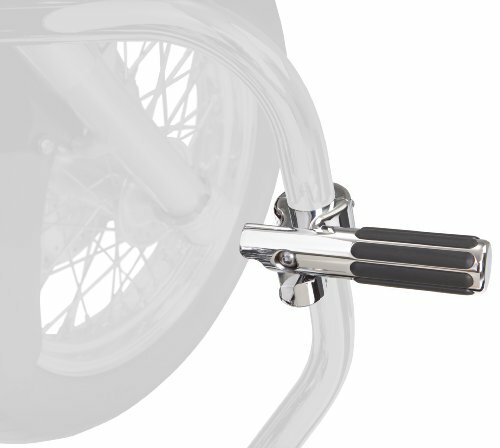 The billet aluminum Highway Clamp with Rail Peg has a pivoting foot peg for folding the pegs out of the way when they are not in use. 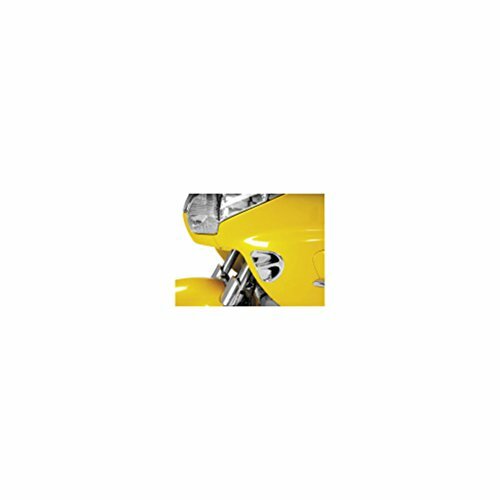 Fits Show Chrome Accessories Highway Bars, OEM and aftermarket 1-1/4 inch Highway Bars/Engine Guards. This cigarette lighter and accessory socket was designed to be able to give you a lighter or power supply should you need it for a GPS, radar detector, cell phone charger or any other universal 12 Volt device. Plugs into existing wire harness on GL1800's so there is no splicing required, however, drilling is required for placement of socket. Fits GL1800 2001-17. 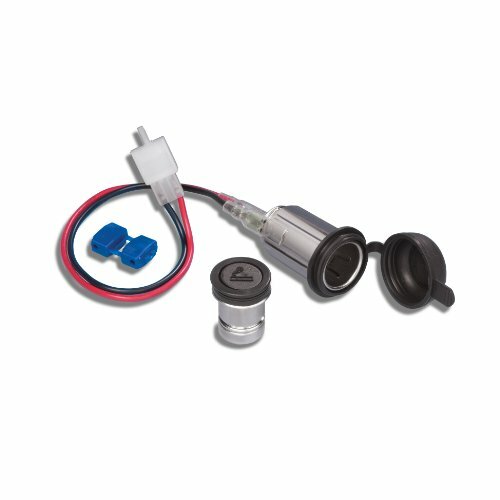 12 Volt universal applications. Looking for more Show Chrome Big Bike Parts similar ideas? Try to explore these searches: Impala Window Felts, 250 Cc Starter Clutch, and Compatible Ink Ribbon.